The emerging infectious diseases and the development of drug resistance in the pathogenic microorganism is a matter of serious concern. Despite the increased knowledge of microbial pathogenesis and application of modern therapeutics, the morbidity and mortality associated with the microbial infections still remains high. Therefore, there is a pressing demand to discover novel strategies and identify new antimicrobial agents to develop the next generation of drugs or agents to control microbial infections. The use of nanoparticles is gaining impetus in the present century as they possess defined chemical, optical and mechanical properties. In the present study green synthesis of silver nanoparticles by Escherichia coli has been done. Various parameters such as mixing ratio of culture supernatant and silver nitrate, media, temperature and pH for production of silver nanoparticles were optimised. The nanoparticles synthesised was characterized using SEM, FTIR and XRD. The antibacterial activity of silver nanoparticles synthesised using both pellet and supernatant against human pathogens Salmonella typhi, Vibrio cholerae, Bacillus subtilis and Klebsiella pneumoniae was analysed and MIC was calculated as 20µg and 50µg respectively. Nanotechnology, has maximized the applications of substances by minimising the particle size [1, 2]. Their unique size dependent properties make these materials superior and essential in many areas of human activity . Nanoparticles have advantage over bulk aterials due to their surface plasmon resonance (SPR),enhanced Rayleigh scattering and surface enhanced Raman scattering (SERS) in metal nanoparticles, quantum size effect in semiconductors and super magnetism in magnetic materials [4, 5]. Various physical and chemical methods are extensively used to produce monodispersed nanoparticles. The stability and the use of toxic chemicals is the subject of paramount concern. The use of toxic chemicals on the surface of nanoparticles and non-polar solvents in the synthesis procedure limits their applications in clinical fields . In this aspect, development of clean, biocompatible, non-toxic and eco-friendly methods for nanoparticles synthesis deserves merit . Biological synthesis process provides a wide range of environmentally acceptable methodology, low cost production and minimum time required . Researchers have focused their attention on biological systems in the past several years for the low-cost, energy-efficient and non-toxic production of metallic nanoparticles [9, 10]. Microorganisms such as bacteria, actinomycetes, and fungi are investigated in metal nanoparticles synthesis. Microbial synthesis of nanoparticles is a green chemistry approach that interconnects nanotechnology and microbial biotechnology [7, 11]. Biosynthesis of gold, silver, gold-silver alloy, selenium, tellurium, platinum, palladium, silica, titanium, zirconia, quantum dots, magnetite and uraninite nanoparticles by bacteria, actinomycetes, fungi, yeasts and viruses have been reported[7, 12]. Nanoparticles are biosynthesized when the microorganisms grab target ions from their environment and then turn the metal ions into the element metal through enzymes generated by the cell activities [13, 14]. The biosynthesized nanoparticles have been used in a variety of applications including drug carriers for targeted delivery [15, 16], cancer treatment [17, 18], gene therapy and DNA analysis [19-21], antimicrobial agents [22-25], biosensors [26, 27], enhancing reaction rates [28-30], separation science [31, 32], and magnetic resonance imaging (MRI) [12, 33]. Silver nanoparticles have been widely employed due to their physicochemical properties and are currently used as anti-bacterial agents in food storage, textile and health industries, for biolabeling and as biosensors . In addition, silver nanoparticles (AgNPs) can also be used in clothing, sunscreen, cosmetics, and food industry due to its antimicrobial properties. It is also used for waste water treatment. It has been found that when silver nanoparticles are exposed into waste water, the number of nitrifying bacteria present in sludge is reduced . Silver nanoparticles, like their bulk counterpart, show effective antimicrobial activity against gram positive and gram negative bacteria, including highly multiresistant strains such as methicillin resistant Staphylococcus aureus . In the present study an eco-friendly, one step, cost effective method for production of silver nanoparticles, using Escherichia coli is done. The antimicrobial activity of silver nanoparticles produced against medically important pathogenic microorganisms was evaluated. The effects of reaction conditions, such as concentration of silver nitrate temperature and pH on the synthesis and particle-size reduction of silver nanoparticles have been investigated. Escherichia coli was obtained from school of biosciences culture library. The bacterial strain was cultured in nutrient broth media for biomass production. The culture was incubated on a rotary shaker at 100 rpm. After 24 h of growth, the biomass was harvested by centrifugation at 12,000 rpm for 10 min. The supernatant and pellet were collected for synthesis of silver nanoparticles . The supernatant sample obtained was added separately to the reaction flask containing silver nitrate (AgNO3) at concentration of 10-3 M (1%, v/v) .AgNO3was also added to the pellet and mixed well. The reaction between the supernatant and pellet with Ag+ ion was carried out in bright conditions for 24 h. A change in colour after 24 h from the initial yellowish white to brown colour, indicated synthesis of silver nanoparticles . Various parameters for the production of silver nanoparticles by Escherichia coli were optimised. The parameters selected were mixing ratio of culture supernatant and silver nitrate, media, temperature and pH . Culture supernatant of 10 ml, 20 ml, 30 ml and 40 ml were taken in 100 ml conical flask. To this AgNO3 of 1mM concentration was added so that the ratio of culture supernatant to silver nitrate is 1:4 for 10 ml supernatant, 2:3 for 20 ml supernatant, 3:2 for 30 ml supernatant and 4:1 for 40 ml supernatant. The experiment details are given below. Culture supernatant without silver nitrate was kept as control. These were incubated for 24 h in rotary shaker at 100 rpm. The silver nanoparticles formed were characterized. For standardisation of media, nutrient broth and LB broth were taken and inoculated with Escherichia coli and incubated for 24 h. After 24 h the biomass was harvested by centrifugation at 12000 rpm for 10 min and supernatant was collected. 1mM AgNO3 was added to the culture supernatant and incubated for 24 h. Culture supernatant without silver nitrate was kept as control. The silver nanoparticles formed were characterised. Two different temperatures (25 0C and 37 0C) were selected.AgNO3 was added to the culture supernatant and incubated for 24 h at the selected temperature. Culture supernatant without silver nitrate was kept as control. The silver nanoparticles formed were characterised. Escherichia coli were inoculated into media of three different pH (5, 7, and 9). Culture supernatant was obtained by centrifugation at 12,000 rpm for 10 min AgNO3 was added to each and incubated for 24 h at selected pH. Culture supernatant without silver nitrate was kept as control. The silver nanoparticles formed were characterised. The synthesised silver nanoparticles were separated by means of centrifugation at 12000 rpm for 10 min. The pellet thus obtained was stored at -40C . UV-visible spectroscopy: The formation of silver nanoparticles was monitored using UV–Vis spectroscopy (Shimadzu UV-600). 1 ml of reaction mixture was taken in a quartz cuvette and the corresponding spectra were measured in the range of 200-500 nm. Scanning Electron Microscopy: The pellet obtained after centrifugation was coated on aluminium foil and scanning electron micrograph of the sample was taken using SEM-EDAX Model 7582 Swift-ED Ori Model No: JEOL JSM 63905. K-constant, 0.9; l – wavelength of X ray; β-FWHM of XRD peak (radians);ϴ- Bragg’s angle of XRD peak. FTIR spectroscopy:The FTIR (Shimadzu-IR Prestige 21-FT-IR-ATR Attached) analysis was also recorded with the pellet. The silver nanoparticles synthesized from Escherichia coli was tested for their antimicrobial activity by well diffusion method against pathogenic organisms like Salmonella typhi, Vibrio cholerae, Bacillus subtilis and Klebsiella pneumonia [41, 42]. The pure cultures of organism were sub cultured on nutrient broth and incubated in rotary shaker at 100 rpm. Each organism was lawn cultured on the individual plates using sterile cotton swab. Wells of size 6 mm were made on nutrient agar plates using gel puncture method. Different concentrations of silver nanoparticles synthesised from Escherichia coli was prepared in DMSO and added to each wells. Control, DMSO alone was also kept. Using micropipette, 10 µl, 20μl, 30µl and 50μl of the sample of nanoparticles solution were poured into wells on all plates. After incubation at 350C for 24 h, the different levels of zone of inhibition were measured. The tests were carried out in triplicates. Biosynthesis of silver nanoparticles by microorganisms is a green approach and is extensively studied. The size, morphology, stability and properties of the metal nanoparticles are strongly influenced by experimental condition. Therefore the design of a synthesis method in which the size, morphology, stability and properties are under control is a major field of interest. The synthesis of silver nanoparticles by supernatant and pellet cultures is indicated by change in colour of reaction mixture from pale yellow to brown within 24 h of inoculation. 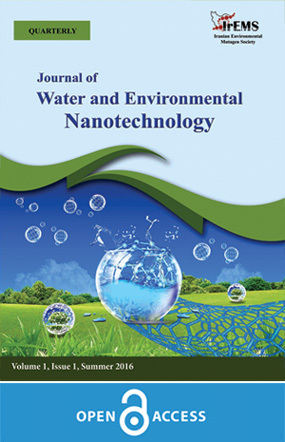 It is well known that silver nanoparticles exhibit yellowish brown colour in water due to excitation of surface plasmon vibration of metal nanoparticles . The colour change is due to excitation of surface plasmon vibrations that is characteristic to silver nanoparticles. . The surface plasmon vibrations is due to the dipole oscillation arising when an electromagnetic field in the visible range is coupled to the collective oscillations of conduction electrons . The Fig 1 shows the result. Control without silver nitrate shows no colour change when incubated at same condition. The knowledge about the reduction of silver ions and formation of silver nanoparticles is not yet clear. The protein molecules and enzymes such as nitrate reductase act as good regulating agent in silver nanoparticles synthesis . The synthesis of silver nanoparticles by Escherichia coli was optimized using different parameters such as mixing ratio, media, temperature and pH. 1mM AgNO3 of varying concentration was added to Escherichia coli supernatant and incubated for 24 hrs. UV readings were obtained after incubation. S4 didn’t show any colour change indicating absence of silver nanoparticles synthesis. S3 showed absorbance of 0.29 at 307 nm. S2 had absorbance of 0.46 at 309 nm. S1 had maximum absorbance of 1.35 at 302 nm. Hence S1 was considered to be the standard ratio. Fig. 2 shows the UV-visible spectrum of silver nanoparticles. The increase in culture filtrate causes a decrease in absorbance. The decrease suggests reduction in nanoparticles size. It seems that by increase of filtrate the amount and size of nanoparticles becomes smaller . For the standardisation of media for silver nanoparticles production two different media were selected. These include nutrient broth and LB broth. UV readings were obtained after incubation. The absorbance of LB media was -3.02 at 304 nm whereas for nutrient broth the absorbance was 1.35 at 302 nm. Nutrient broth was found to be the standard media for the production of silver nanoparticles by Escherichia coli. Fig 3 shows UV Vis spectrum of silver nanoparticles by Escherichia coli in LB and nutrient broth. Two different temperatures were selected, 250C and 370C. UV readings were obtained after incubation. UV spectrum of silver nanoparticles produced by Escherichia coli at 250C showed absorbance of 0.59 at 381 nm and 0.64 at 308 nm whereas at 370C absorbance of 1.04 was obtained at 355 nm and 0.94 was obtained at 311 nm. 37 0 C was found to be the standard temperature for the production of silver nanoparticles by Escherichia coli. Fig 4 shows the UV spectrum of optimisation of temperature for the production of silver nanoparticles by Escherichia coli. As reaction temperature increases reaction rate also increases causing most silver ions to be consumed in the formation of nuclei and thus stopping the secondary reduction process on the surface of pre formed nuclei . Optimization of pH: Three different pH were selected for optimisation (5, 7, and 9). UV readings were obtained after incubation. No characteristic peaks were seen at pH 9 also the absorbance level was less than 0 at pH 7; absorbance of 0.44 was obtained at 371 nm and 0.32 absorbance at 309 nm. pH 5 showed absorbance of 0.83 at 350 nm and 1.08 at 305 nm. Out of these, pH 5 was found to be optimum for the production of silver nanoparticles by Escherichia coli. Fig.5 shows the UV spectrum of optimisation of pH for the production of silver nanoparticles by Escherichia coli. Many studies have reported an increased production of silver nanoparticles at lower pH as the highest absorbance was seen at this pH. The enzyme reductase catalysing the synthesis is probably deactivated as condition become more alkaline and this may the reason for reduced synthesis and lower absorbance observed at higher pH values . Characterization of nanoparticles is important to understand and control nanoparticles synthesis and applications. Characterization is performed using a variety of different techniques such as transmission and scanning electron microscopy (TEM, SEM), atomic force microscopy (AFM), dynamic light scattering (DLS), X-ray photoelectron spectroscopy (XPS), powder X-ray diffractometry (XRD), Fourier transform infrared spectroscopy (FTIR), and UV–Vis spectroscopy . Fig. 6. Characterization of siver nanoparticle synthesised from supernatant of Escherichia coli: (a) XRD pattern (b) SEM image (c) FTIR spectra. Fig. 6 (a) shows the XRD pattern of silver nanoparticles synthesised from supernatant of Escherichia coli. A sharp and intense peak at 2ϴ= 32.210 corresponding to the diffraction plane of silver with fcc lattice. According to Scherer’s formula an average crystal size (t) of the silver nanoparticles can be obtained from the X ray wavelength of the Cu Kα radiation (1 = 1.54A0), Braggs angleϴ and width of the peak at half height (maximum)(β) in radians . The particle size of the synthesised nanoparticles is calculated and given in Table 1. Table 1. Determination of crystalline size of silver nanoparticles using Debye Scherrer’s equation. reported that the scattering XRD spectrum of silver nanoparticles showed four peaks at Bragg’s angles which conformed to metallic silver phase (JCPDS file no. 04-0783). They were related to crystalline planes (111), (200), (220), and (311), and the intensity of peaks for plane (111) was stronger. Peaks arising from 2θ at 38, 34, 64, and 77 were crystalline planes of (111), (200), (220), and (311), respectively. These peaks caused by Bragg scattering indicate the formation of crystalline silver nanoparticles with spiral structure and an A equal to 4.086. Scanning electron micrograph of silver nanoparticles synthesised from supernatant of Escherichia coli is shown in Fig.6 (b). The synthesised silver nanoparticles possessed spherical shape . reported that SEM images of silver nanoparticles were of spherical shape and appeared to be reasonably monodispersed. The sizes of the silver particles were found to be in the range of 5–25 nm diameter. reported biosynthesis of silver nanoparticles using culture supernatant of newly isolated Bacillus sp. Monodispersed silver nanoparticles in the range of 50 to 120 nm was synthesised extracellularly .Such variation in shape and size for nanoparticles synthesized by biological systems is commonly obtained. However, if the process of silver nanoparticles is to be a viable alternative to the current chemical method, then greater control over particle size and polydispersity would be required . Fig 6 (c) represents the FTIR spectra recorded for silver nanoparticles. The peak located at 3340 cm-1 may be due to the presence of –NH or –OH group. The peaks at 1634 cm-1 and 2110 cm-1 reveal the presence of carbonyl and CN triple bond stretching in proteins respectively. The presences of these functional groups are responsible for the stabilisation of synthesised silver nanoparticles . FTIR measurements of the freeze-dried samples are carried out to identify the possible interactions between silver and bioactive molecules, which may be responsible for synthesis and stabilization (capping material) of silver nanoparticles. The amide linkages between amino acid residues in proteins give rise to well known signatures in the infrared region of the electromagnetic spectrum. FTIR spectrum reveals two bands at 1647 and 1543cm-1 that corresponds to the bending vibrations of the amide I and amide II bands of the proteins respectively; while their corresponding stretching vibrations were seen at 3302cm-1 and 2926cm-1 respectively . It is well known that protein nanoparticles interactions can occur either through free amine groups or cysteine residues in proteins and via the electrostatic attraction of negatively charged carboxylate groups in enzymes. The two bands at 1381 and 1032cm -1 are due to the C-N stretching vibrations of the aromatic and aliphatic amines, respectively. These observations indicate the presence and binding of proteins with silver nanoparticles which can lead to their possible stabilization. FTIR results helps to understand that secondary structure of proteins have not been affected as a consequence of reaction with silver ions or binding with silver nanoparticles. It is important to understand though, that it is not just the size and shape of proteins, but the conformation of protein molecules that plays an important role .